You see, I had these expectations. I remember reading The Secret Life of Walter Mitty at some point during school, although the details of the short story by James Thurber were pretty hazy after so many years. I remember it being a “classic” story and even the fact that I enjoyed it. But nothing about it made me want to run to the theater to see the latest film iterations. And the trailers, while seeming grand and somehow Forrest Gump-esque, did little to sway me. I also had some assumptions about Ben Stiller movies. Not that there’s anything wrong with Ben Stiller movies. Some of his films are must-stops if they pop up while I’m channel surfing. It’s just that his work tends to be goofy and nonsensical with little depth or meaning. So as Staci and I sat down in the theater Friday night, only having done so because it was the only movie showing at a time that fit our schedule, I set the bar pretty low. That was a poor call. What an amazing piece of art. The story, about a man who sacrificed so much of his life for others and learns to get out of his head and really live life again, is one that made me feel more alive. It was never hokey or forced; often quiet and subtle. But it made me feel full and inspired when I walked out of the theater — the way good art often does. It was a bigger, better and deeper story than anything I anticipated. You see I had these expectations. I was baptized at an early age, but there’s never been a time when I felt outside of God’s family. I think that’s a wonderful thing. But I grew up hearing all the stories. There were the ones in the Bible. The exciting ones about David and Joseph and Esther and Isaiah and Peter and Paul. Exciting stories that seemed larger than life. Tales of life and death and battles and journeys. It was enthralling and inspiring. There were more modern stories as I grew older. Tales of missionaries in dangerous lands or tiny nuns caring for lepers in Calcutta or a preacher sharing the gospel with packed stadiums or a man giving up a “successful” future to live among the urban poor. Stories of great people doing amazing things in the Kingdom of God, serving their fellow man in amazing ways. This was what it looked like to follow Jesus. Years later, my life looks little like any of those stories. I have never cared for lepers or preached to thousands in a stadium. I have never lived among the poor. I live in one of the most nondescript metropolitan areas in America. Not sure if “exciting” or “dangerous” are on any list of words you’d use to describe my walk with Jesus. It would be easy to look at my life and feel like I set the bar way too high. My expectations were different. But I am a husband to a wonderful wife. A father to some amazing kids. I have close friendships with some amazing men. I get to wake up every day and come to a job where I get to help families walk with Jesus more closely and help them see that their entire lives are spiritual. Maybe my life is not as “exciting” as I could have expected. But it also feels like a bigger, better and deeper story than anything I anticipated. Expectations can be wonderful things. They give us context and help us to navigate the world around us. It would be difficult to navigate a normal day without our them. But every now and then our expectations can be completely blown out of the water. Jesus did it to people in his time. I feel like he’s doing the same to me every single day. And what a crazy, wonderful thing that is. You see, I had these expectations. And Jesus changed them to something better. This entry was posted in Epiphany and tagged Discipleship, Expectations, Jesus. Bookmark the permalink. Allen i have written a comment and lost it so if you get two, thats the reason. This blog is one of the many reasons I miss you and your family so much. In my opinion this is among your best. And i think you have lots of bests. I am from the generation of the original Mitty, Danny Kaye. HE made Stiller look tame, believe me, and he was one of my favorites. if you know him its probably from White Christmas with BIng Crosby. His leading lady was Vinginia Mayo, a classic beautiful blond lady. 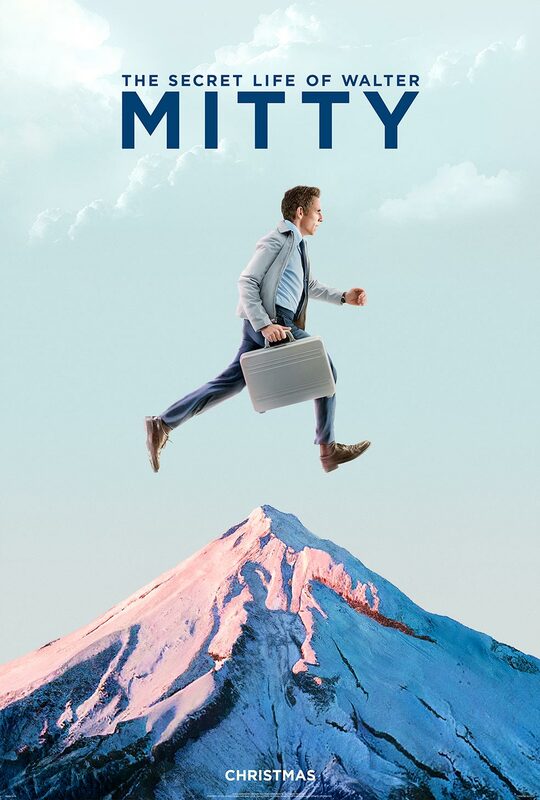 I loved Mitty because he took us out of anything resembling every day life and took us into fantasy of what might be. I have loved Stiller ever since “Keeping the Faith” and the original Museum. Jim and i will eventually see this movie or i may just wait and buy it to own. Thanks, Beverly. Your words always encourage and make my day better. I love you dude. I am always amazed when someone else speaks my heart. I guess I just assume that I am the only guy who feels certain things. Sometimes I feel alien, when in reality there are so many having similar experiences in their own lives. It has taken me a while, but the greatest realization I have ever come to is that no matter what I achieve in this world; nothing will ever compare to the fulfilment I get from being my sons’ father and my wife’s husband. Something about the song (Dirty Paws, by Of Monsters and Men) that gave me chills the first time I watched it. Thanks, brother. Love you, too. I’d love to hear what you & Marisa think about the film. It may not be the best thing ever, but it hit me in such a vulnerable and honest place. I think I’ll love it forever because of that. The music throughout the entire thing is amazing. It always feels good when someone validates your feelings. Thanks for doing that (which is something you do often). I’m so grateful for your words. Thanks.